The Alzheimer’s Association Walk to End Alzheimer’s is a movement to reclaim the future for millions. 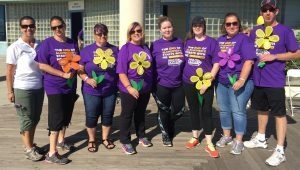 The Walk to End Alzheimer’s took place on September 17 at Ocean Beach Park in New London, CT. Many people from eastern Connecticut came to this year’s event to raise awareness and funds to fight Alzheimer’s disease. The PierceCare team members held several fundraisers to be able to donate over $1,500. Our employees completed a 3 mile walk and joined in a meaningful tribute ceremony to honor those affected by Alzheimer’s disease. Together, we can advance research to treat and prevent Alzheimer’s, and provide programs and support to improve the lives of millions of affected Americans. PierceCare offers a continuum of care at Creamery Brook Village, our independent and assisted lifestyle community and at Pierce Memorial Baptist Nursing and Rehab Center, our rehabilitation and long term care setting. 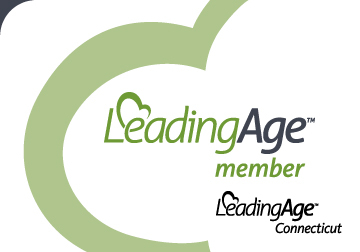 For more information, contact Dave Bamber, Director of Marketing 860-779-8700 ext. 202 or dbamber@piercecare.org. PierceCare, 36 Vina Lane, Brooklyn CT 06234.